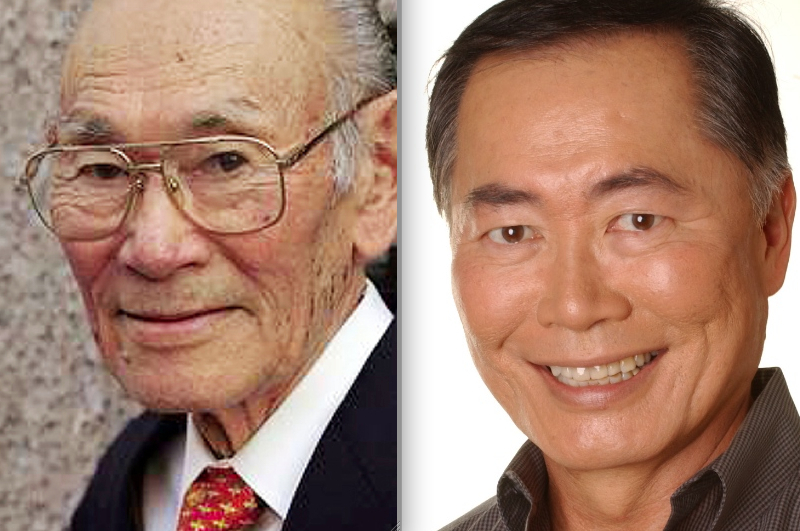 SAN FRANCISCO — George Takei will keynote the fifth annual Fred Korematsu Day celebration on Friday, Jan. 30, from 7:30 to 9 p.m. at City Arts and Lectures-Nourse Auditorium, 275 Hayes St. in San Francisco. The Fred Korematsu Day commemoration is organized every year by the Fred T. Korematsu Institute to remember Korematsu’s life and recognize the importance of preserving civil liberties. The 2015 commemoration not only marks the fifth anniversary of Fred Korematsu Day, which was established by the State Legislature in 2010, but also the 10th anniversary of Korematsu’s passing in March 2005 at age 86. Takei, best known for playing Sulu in the original “Star Trek” TV series and movies, is an actor, author, social justice activist, social media mega-power, subject of the documentary “To Be Takei,” and star of the Broadway-bound musical “Allegiance.” As a child, he was interned with his family at the Santa Anita Assembly Center and War Relocation Authority camps at Rohwer in Arkansas and Tule Lake in Northern California. Tickets are $25 general, $25 for students and seniors (ID required). Preferred seat ticket ($100) includes pre-event reception at 6:30 p.m. in the courtyard. Tickets are available at City Box Office, (415) 392-4400 or www.cityboxoffice.com, and can also be ordered online at http://bit.ly/korematsu2015fbimg1. The Korematsu Institute (http://korematsuinstitute.org), a fiscally sponsored project of Community Initiatives, a 501(c)(3) nonprofit organization, advances pan-ethnic civil rights and human rights through education. In 1942, Fred Korematsu was arrested for refusing to be incarcerated in the government’s incarceration camps for Japanese Americans. He appealed his case all the way to the Supreme Court, which ruled against him, saying the incarceration was justified due to military necessity. Forty years later, the discovery of new evidence allowed Korematsu to reopen his case with a team of pro-bono lawyers. In 1983, a federal court in San Francisco overturned his conviction. It was a pivotal moment in civil rights history. In 1998, Korematsu received from President Bill Clinton the Presidential Medal of Freedom, the nation’s highest civilian award. Korematsu passed away in 2005 at the age of 86. In 2009, the Asian Law Caucus, together with Korematsu’s daughter, Karen, launched the Korematsu Institute to commemorate the 25th anniversary of the reversal of his conviction. In 2010, California passed a bill marking every Jan. 30 as Fred Korematsu Day of Civil Liberties and the Constitution. It is the first day in U.S. history named after an Asian American. To mark the first Fred Korematsu Day on Jan. 30, 2011, the Korematsu Institute began shipping out free Korematsu teaching kits to K-12 classrooms around the state.